Change is in the air…and the water…and the land. People are speaking up and coming together to protect the earth against inappropriate development. 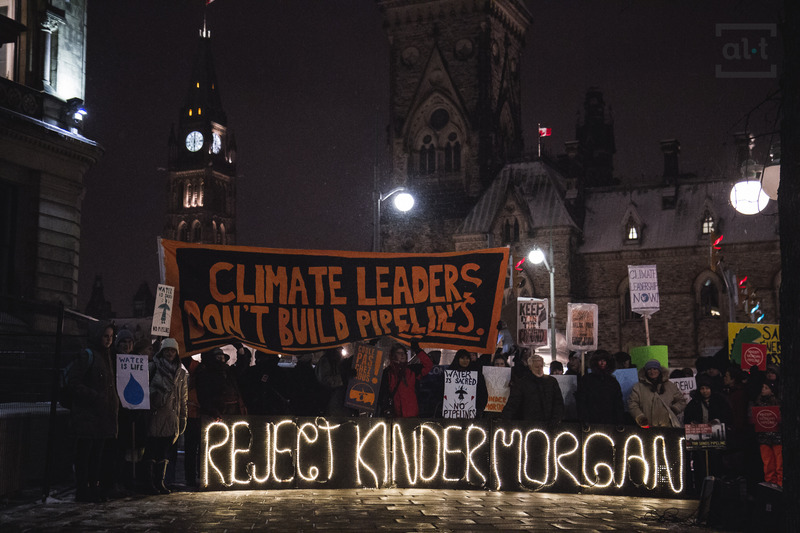 On Monday, Nov. 21, 2016, communities across Canada held vigils calling on the Canadian government to stop Kinder Morgan’s proposed Trans Mountain pipeline from the Alberta tar sands to BC and Washington. In Ottawa, people gathered outside the Prime Minister’s office to call on him to uphold his commitments to respect the rights of Indigenous peoples, and to take climate action. Three hunger strikers from Labrador—Inuk artist Billy Gauthier, Delilah Saunders and Jerry Kohlmeister—came to Ottawa in October to draw attention to the Nunatsiavut government’s Make Muskrat Right campaign. The campaign was in response to a plan by Nalcor Energy to flood a reservoir with contaminated water—leaching methylmercury into the water and food supply—as part of a hydroelectric project on the Churchill River. The province and community subsequently agreed that the work would be postponed until scientific studies could be independently reviewed. On Oct. 24, a group of mainly young people from Ottawa and across Canada walked from the University of Ottawa to Parliament Hill, carrying the message “Climate leaders don’t build pipelines.” Police detained nearly 100 of them for crossing a barrier during the “Climate 101” action. On Nov. 8, people in Ottawa held a fundraising dinner for the Algonquins of Barriere Lake who are trying to prevent mining in their territory. The event coincided with a rally, Joining Our Fires: Women for the Protection of Lands and Waters, held at the Human Rights monument in solidarity with the No Dakota Access Pipeline movement in North Dakota, the campaign against BC Hydro’s Site C Dam and other actions. Coming up on Nov. 30, 2016, there’ll be a day of action in Ottawa in support of Indigenous peoples whose cases against National Energy Board rulings about industrial activities in their territories will be heard at the Supreme Court of Canada. The Clyde River Inuit‘s case centres on oil exploration using seismic blasting in Baffin Bay and Davis Strait, and Chippewas of the Thames First Nation’s case concerns Enbridge’s Line 9 pipeline reversal project between Sarnia and Montreal. At the heart of both: the rights of Indigenous peoples to their territories, and Canada’s duty under constitutional and international law to consult them on resource projects within those territories. In many cases—including the Treaty Alliance against tar sands expansion and the #NoDAPL defense of land and water—Indigenous people are leading the way. Here’s hoping that these voices are heeded. Thanks for this comprehensive look at the defenders’ work. We can all be defenders! 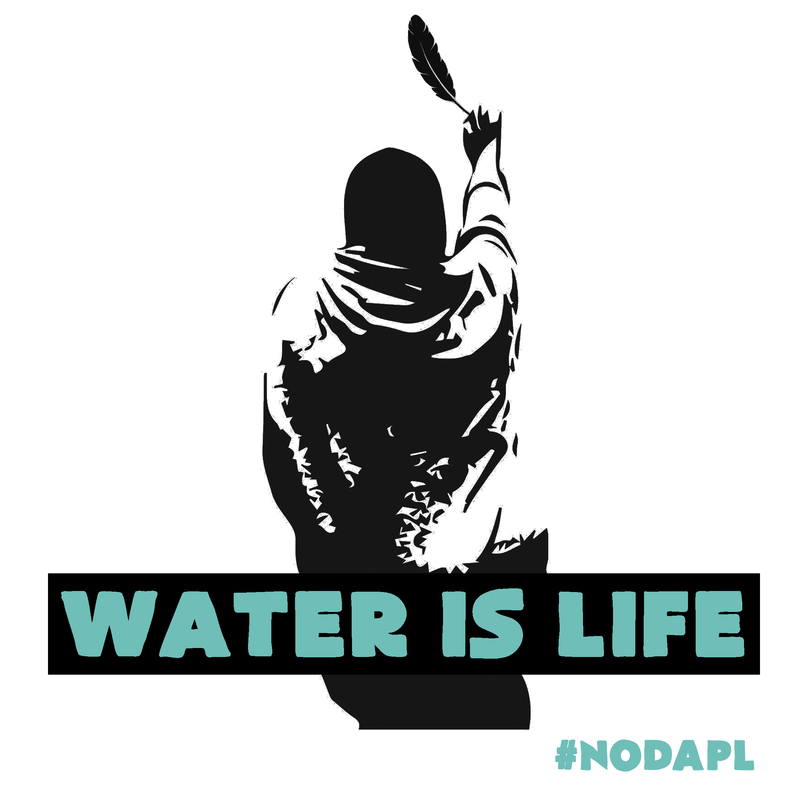 And in case you’re not aware, there is some made-in-Ontario artwork that refers to water defenders. I have the artwork as an icon on my FB page, which you can click on below. Artisit is Isaac Murdock.